AUTHORITIES have ordered samples taken from across Bundaberg and sent to a laboratory to be prioritised as they search for the source of PFAS which contaminated a suburb's water supply. More than 10 days after the Bundaberg Regional Council dropped a bombshell that water supply to about 5500 people in Svensson Heights had been contaminated, a spokesman for the Department of Environment and Science said it was hard to estimate when they would have a clearer picture of where the pollutant came from. The department has undertaken sampling in different areas. 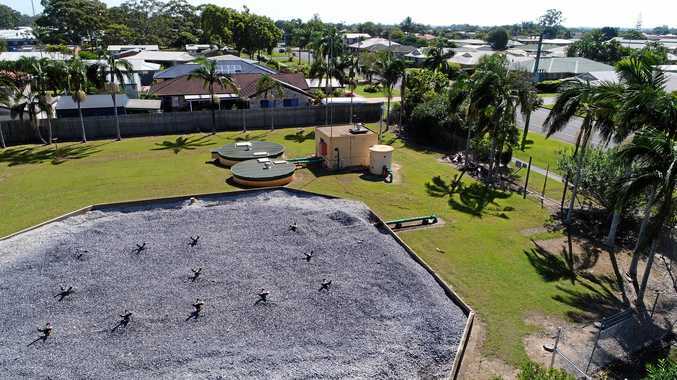 "So far, groundwater sampling has been carried out in areas around Bundaberg Airport, the industrial estate and University Drive Landfill," the spokesman said. "Understanding what specific compounds are present in the environment and where these are may assist in locating where the contamination has come from. "Surface water testing that has been carried out by DES to date has been from surface water drainage runoff adjacent to the nearby industrial estate. "Further surface water testing has been undertaken by Queensland Health in Saltwater Creek and returned results below recreational and drinking water guideline values." The spokesman said sediment samples had also been taken from the area around the industrial estate..
"While the laboratories' processing time usually takes weeks, the department has requested that analysis relating to this matter be prioritised," he said. On April 12 the council received confirmation that water supplied to customers from the Dr Mays Road bore exceeded the guidance value for the chemical. The result was twice the national average and the bore was immediately removed from the water supply. The NewsMail questioned a number of departments regarding the ongoing testing regime. The council intends to undertake fortnightly monitoring to ensure PFAS levels remain below the national guideline value.